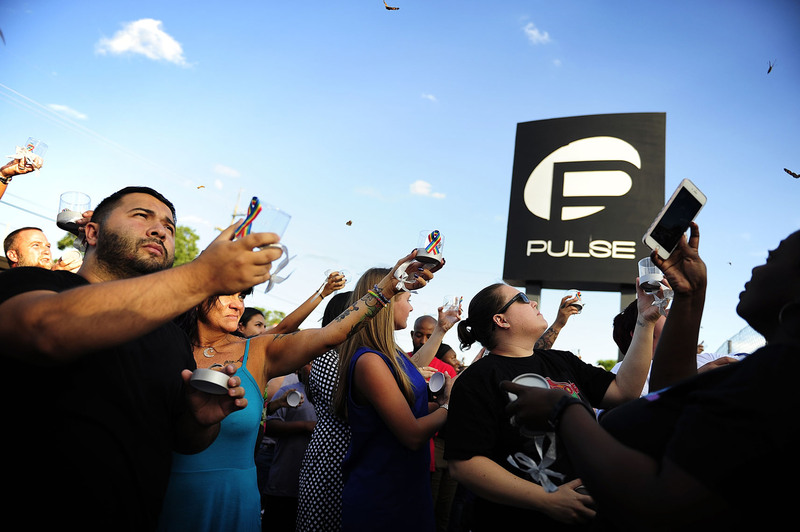 Mustafa Sheikh, from left, Jennifer Freeman, Alexandra Artiles and Coral Washington-Stinson release painted lady butterflies â 49 in total âÂ to honor the victims Saturday, June 25, 2016 at Pulse nightclub in Orlando. A Facebook group called "Fly High *49* Butterfly Release" was organized by Pi'ilani Diaz as the winged-insects were released. The city and nation still mourns 49 victims of the June 12 mass shooting at the club. A group released butterflies to honor them.